On June 14, 2011, Denny L. Nester assumed the role and responsibilities of the City Auditor for the City of Colorado Springs. Denny has been employed by the City Auditor since April 2000. He had previously served the citizens of Colorado Springs as the Interim City Auditor and Assistant City Auditor. Prior to his relocation to Colorado Springs, Denny was a Senior Auditor for the City of Chesapeake, Virginia, where he had also worked as a Utilities Accounting Supervisor and Revenue Analyst. He had also worked as the Vice President and Controller for a small HVAC company in Suffolk, Virginia before beginning his public service career. Denny Nester earned his MBA from Purdue University’s Krannert Graduate School of Management in 1983. He is a Certified Public Accountant (CPA) and a Certified Internal Auditor. Denny also holds designations as a Certified Government Financial Manager (CGFM), Certified Fraud Examiner (CFE), and Certified Government Audit Professional (CGAP). Denny is active in local professional associations. He has served as President and on the Board of Governors for the Colorado Springs Chapter of the Institute of Internal Auditors. He has also served on the Board of the local chapter of the Association of Certified Fraud Examiners. 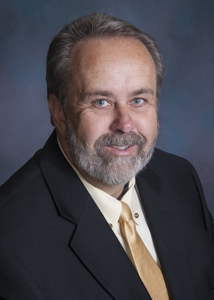 Denny Nester is active in several national professional associations. Denny was on the Board of Directors for the Association of Local Government Auditors (ALGA), where he was the liaison for the Long Term Conference Planning Committee and Awards Committee. He is also a member of the Association of Certified Fraud Examiners (ACFE) and the Government Finance Officers Association (GFOA). Denny is the father of three children. He has one granddaughter and one grandson. He enjoys his involvement with the music program at the GrandView Community Church. Denny also enjoys lure coursing and showing his Ibizan Hounds.